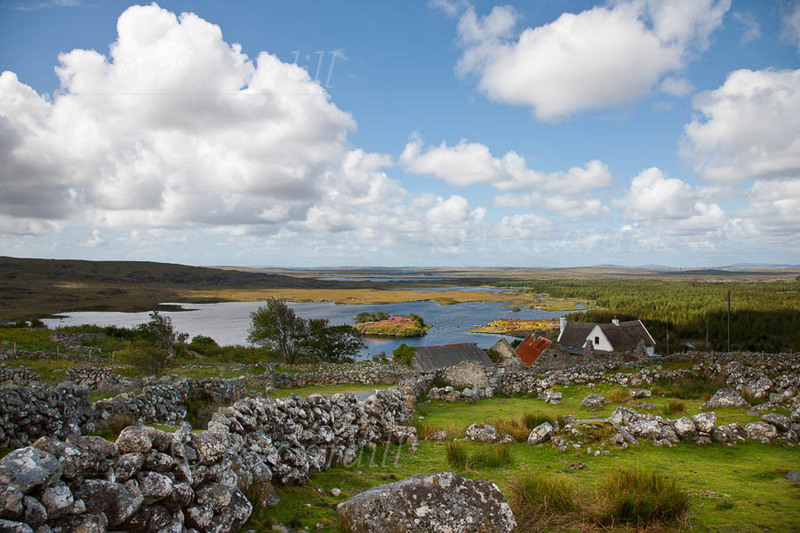 Photo of: West of Ireland: Galway: Connemara: Lough Formoyle. A view of Lough Formoyle near Kinvarra in South Connemara. Lough Clonadoon can be seen behind Lough Formoyle, with Glenicmurrin Lough in the distance. The small fields with rock walls are a wonderful feature of this landscape.